August 22, 2018, New Delhi : Humans cannot do much when the nature decides to strike. But what we can do, is prepare ourselves to manage these disasters in a way which leads to the least loss of lives and property. With the recent reports of flooding across India and especially in Kerala and parts of Karnataka, disaster preparedness has become all the more important for the country. As Kerala grappled with massive flooding across the state, LocalCircles conducted a survey to check citizen perception of disaster preparedness of their cities. The survey received more than 25,000 responses from across India including participants from Kerala. 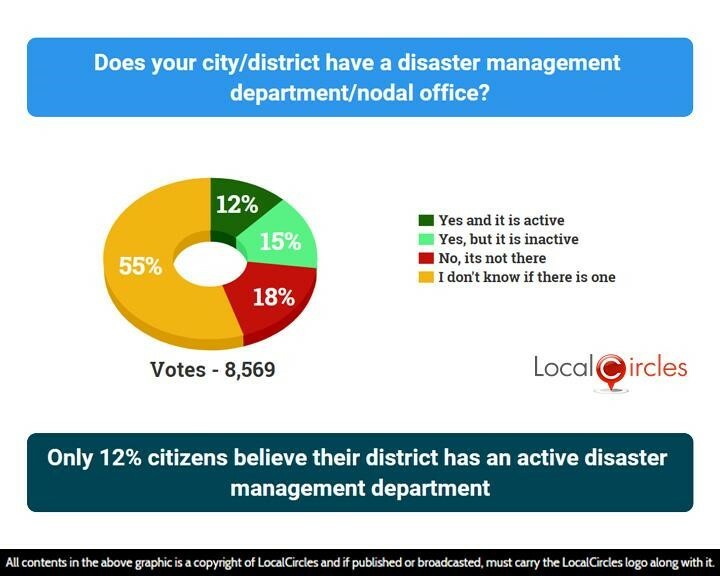 The first question asked citizens if their city/district has a disaster management department or nodal office. 18% said it is not there and 15% said it is there but is inactive. Only 12% said it is there and active, while 55% said they were unsure if there was one in their city/district. Most district disaster management offices in India do not even have basic rescue equipment, which cost only about Rs. 20 lakhs. Citizens were asked if it should be made mandatory for state governments to ensure every district in their state has this equipment? 90% of the citizens replied in a yes while 6% replied in a no. 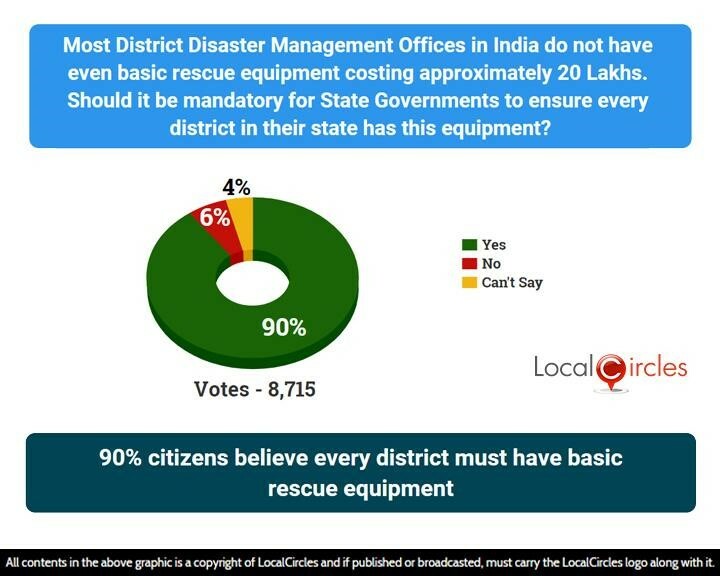 As per public reports, 95% districts in India do not have basic rescue equipment required in case of a natural disaster. With the cost of these equipment running up to Rs. 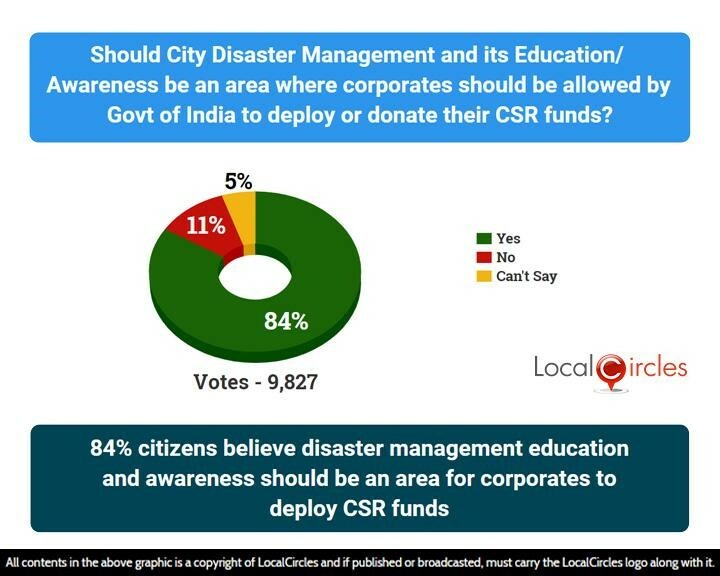 20 lakhs, 84% believe that CSR money from corporates should be deployed for purchases as well as for education and awareness, if the state governments do not deploy funds into disaster management. Three things that worked well during Kerala flood evacuations were the Army support, the NDRF and the citizen volunteers, who came together to save numerous lives. 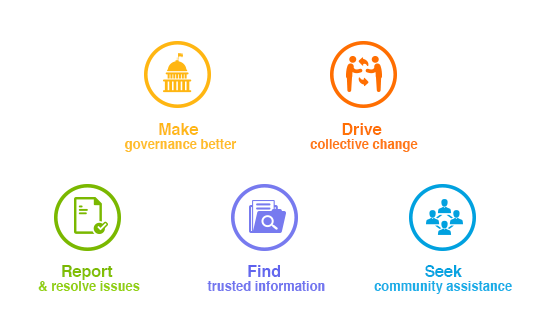 Citizens also suggested different ways in which cities could be made better prepared to handle disasters like floods, earthquakes, fire etc. These included states making disaster preparedness a priority, a Quick Action Citizen Force being created in every district which could be mobilized quickly, the state/district police force be trained in disaster management and RWAs being incorporated in disaster management etc. More than 350 lives have been lost in Kerala so far and property worth thousands of crores has been destroyed. LocalCircles hopes that the government will take immediate action on this and make the districts prepared for handling natural disasters well. The least that could be done is making 20 lakhs of basic rescue equipment available in all the 600 districts of the country.